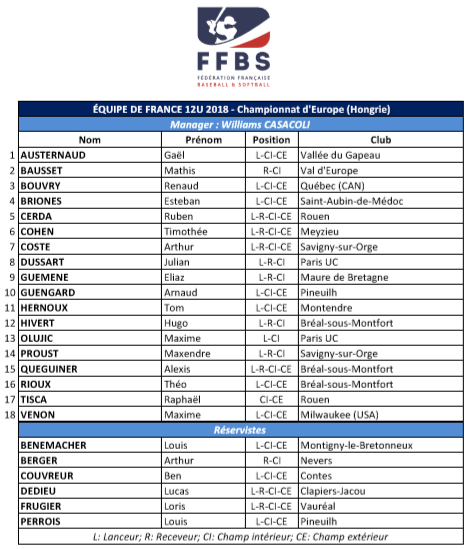 The French Baseball and Softball Federation (FFBS) released their roster for the U12 European Championship in Budapest, Hungary. France is facing Great Britain, Hungary, Poland, Czech Republic, Russia and Ukraine in Pool B during the preliminary phase. 14 teams will compete in the tournament from June 30 to July 8, 2018.